Reputedly one of the oldest inns in Worcestershire, this beautifully refurbished and modernised old inn dates back to 1411. Today it is a smart, sophisticated, award winning restaurant with rooms. The seven luxurious bedrooms are contemporarily styled with designer bathrooms. Welcome to the Manor Arms, a charming inn set at the heart of the ancient village of Abberley. The Manor Arms boasts six stylish en-suite bedrooms and an award winning restaurant. AA 5 Star Inn, 2 AA Rosettes for food. 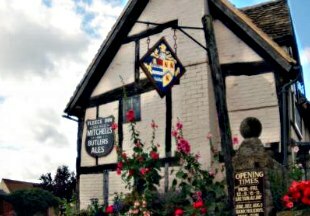 Perfect for keen walkers, the inn is situated on the Worcestershire Way. A warm and friendly welcome awaits you when you wander into this authentic old inn by the River Severn, in the picturesque town of Bewdley. 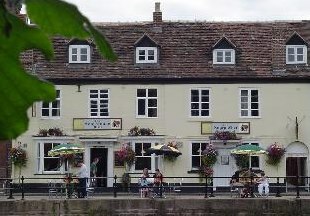 This inn offers superb views of the Severn from its AA rosette restaurant, The Angry Chef. AA 4 Star Inn. 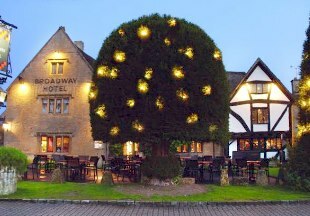 Overlooking the village green, the 15th century Broadway Hotel enjoys an enviable position in this beautiful Cotswold village. 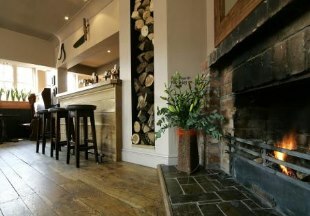 The hotel boasts a stunning atrium as well as a cosy bar, lounge and 19 en-suite bedrooms. This 14th century, quintessential English pub is owned by the National Trust. It oozes tradition and history. Now after savouring the excellent food, ales and wines, you can stay overnight in the Master's Bed Chamber, a quaint en-suite room with stunning views over the village. Welcome to The Bell, a country pub with rooms. Completely refurbished, The Bell offers good food, a great selection of beers, real ales and wines, quality service and four tastefully furnished en-suite bedrooms. 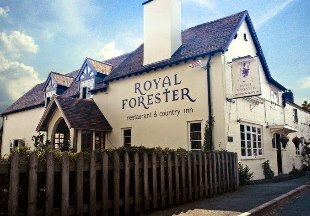 Situated in the small rural village of Eckington on the outskirts of Pershore and Tewkesbury, we are perfectly located for for exploring Worcestershire, the Cotswolds and Gloucestershire. 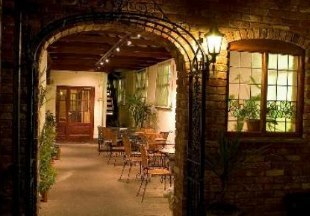 This lovely Worcestershire country inn is located on the village green, and has a warm, cosy, home-from-home atmosphere. 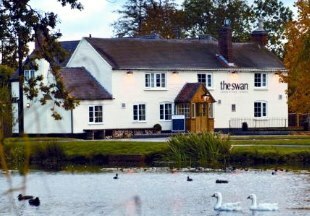 The 17th century Swan Inn is situated at the foot of the beautiful Malvern Hills, less than one mile from the Three Counties Showground and three miles from Malvern. 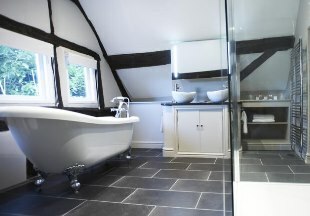 The inn offers five individually styled, luxury en-suite guest bedrooms. The White Lion is famous for being featured in Henry Fielding's book 'The History Of Tom Jones', in which he describes the hotel as 'the fairest inn on the street and a house of exceedingly good repute'. Today the White Lion retains much historic character and charm, and continues to offer fine food, comfortable rooms, good service and great value for money. Often ( and mistakenly!) overlooked as a location for a short break, Worcestershire lies between the beautiful Malvern Hills and the mellow Cotswolds in the heart of England. Choose from our handpicked selection of hotels and inns in Worcestershire and explore the delights of this lovely county; the magnificent cathedral city of Worcester, Severn Valley Railway, Upton-on-Severn, Great Malvern and the Wyre Forest. Many of the historic Worcestershire inns and hotels bore witness to the region's involvement in the English Civil War. Some of the most fiercely fought battles took place in this county, such as those at Evesham, Upton Bridge and Worcester. You too can experience a little of the history when you stay at an ancient inn; walk on the worn flagstone floors, warm yourself by the inglenook fireplace and duck your head under the low oak beams! "You will find the only pub that is owned by the National Trust in Worcestershire. The half-timbered, 14th century Fleece Inn is steeped in history. This quintessential village inn serves great food, real ales and local ciders. And you can be assured of a peaceful sleep, as the inn is painted with witch circles to prevent witches from entering down the chimneys!" Worcestershire is bordered by Herefordshire, Shropshire, Staffordshire, the West Midlands, Warwickshire and Gloucestershire. If you want to widen your search, why not browse through our selection of hotels and inns in Herefordshire, Shropshire, Staffordshire, the West Midlands, Warwickshire and hotels in Gloucestershire.